Please join us on May 19th 2019 for our Annual BBQ & Covrette Show! No charge for the show and only $15 per person for all the Hamburgers and Hotdogs you can eat!!! From the Great food to Fantastic Cars to wonderful owners. 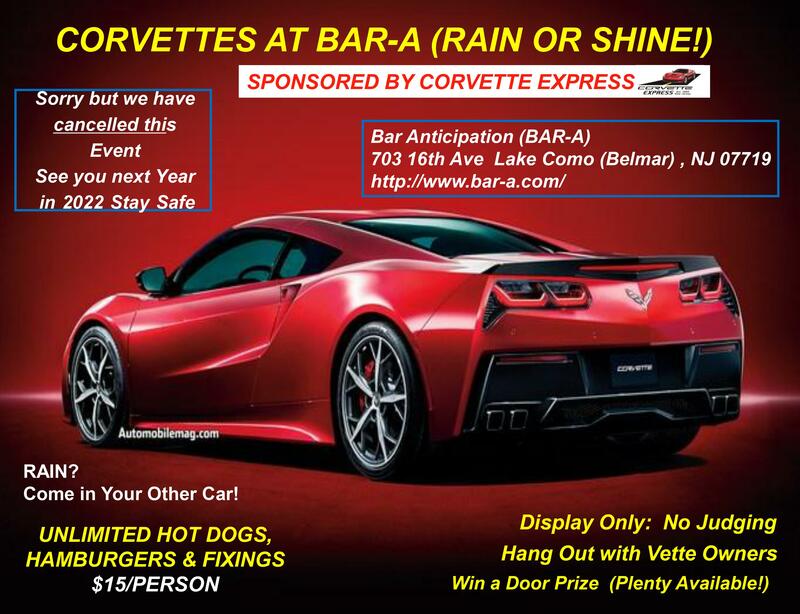 A Event like this goes to show that Vette owners know how to have a good time! !